Come to The Assembly Bar and Cafe, sit back, and enjoy top-notch beer, catch the game on one of our 14 televisions, or grab a scrumptious bite to eat. "Looking for a sign to eat out tonight? Here it is." "We'd love to hear your tots: http://bit.ly/2zgMcs9"
"It's our favorite day of the week. Stop by for our fish fry." "Spring in for something fresh." "Signed, sealed, delicious -- it’s yours!" Yes, I'd like to receive news from The Assembly American Bar & Cafe. 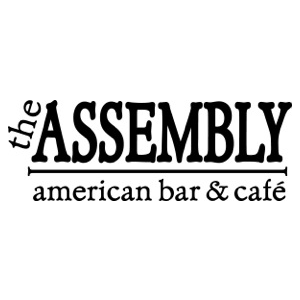 Sign up for the The Assembly American Bar & Cafe Newsletter!